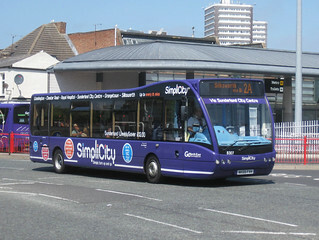 This vehicle has transferred from Gateshead Depot to Stanley, and has received sub-branding for the 43/44 services having received "The Diamond" branding whilst still based at Gateshead. The new branding replaces the temporary branding introduced to services 40, 43, 43A, 43B and 44 (vehicles wearing standard fleet livery with Stanley Shuttle vinyls applied), in line with the simplification of the services which operate between Durham and Newcastle, via Stanley. Ahead of transfer to Stanley Depot where this vehicle will be allocated to "The Diamond" services 43/44, this vehicle has gained "The Diamond" branding, albeit without sub-branding for the 43/44 services. 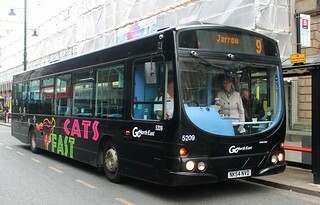 Early expansion of the Go-Ahead Northern empire saw the acquisition of certain smaller competing bus operators in North East England, during the late 1980s and early 1990s. Northern acquired JH Hammell (Diamond) on 30th December 1994, which this brand refers to. 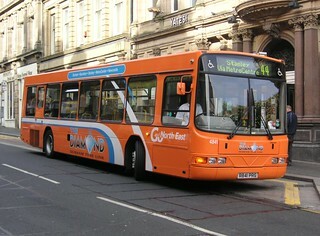 Prior to new branding being launched, this vehicle has been repainted into a plain orange base livery. 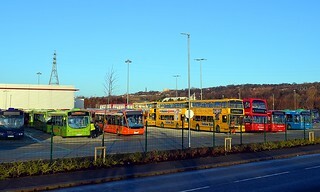 Following the cascade of double-deck vehicles to upgrade the "Angel" services, this vehicle has been transferred from Chester-le-Street Depot to Percy Main. 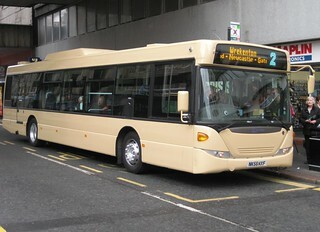 This vehicle has also undergone a full plain cream base livery repaint. This vehicle has been repainted into a plain cream base livery, also gaining a small "Coaster" logo below the windscreen in the process.